The memorable design of Pop! Vinyl Figures is coming to the kitchen! 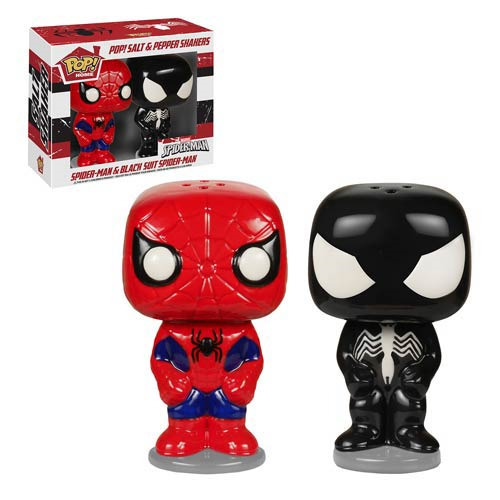 Whether you display these superheroes or use them to spice up your next meal, the Spider-Man and Venom Pop! Home Salt and Pepper Shaker Set are perfect for any Spider-Man collection. The Pop! Home Spider-Man and Venom Salt and Pepper Shakers are made of ceramic. Each shaker measures approximately 4-inches tall. Ages 17 and up.